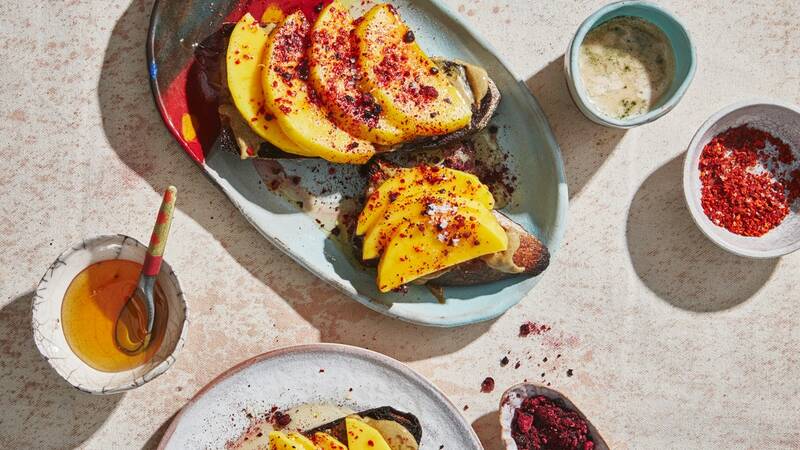 Savory fruit toast is the new avocado toast. Other combinations we’re crushing on: lemony yogurt with cucumbers, almond butter and pears. For the full story click here!